Summer Olympic Games are held every four years during leap years, which means in 2020, 2024 etc. The Winter Olympics also take place every four years and alternate with the Summer Olympics—2022, 2026, etc. Countries that want to host the games submit bids to the International Olympics Committee (IOC.) IOC members choose winners seven years in advance, giving the host cities time to prepare for the event. With each Olympic Games comes a slew of job opportunities, as well as chances to volunteer. The upcoming Summer Olympics in Tokyo, Japan, in 2022 has a variety of employment and volunteer opportunities available. Job listings are beginning to be posted for the Beijing 2022 Winter Olympics, Paris 2024 Summer Olympics, and Los Angeles 2028 Summer Olympics. The Summer Olympic Games in Tokyo, Japan will take place from July 24 to August 9. You can find details about the games on the official Tokyo 2020 website, also available in English and French. Use Google Translator to translate the site into a multitude of other languages. Connect with Tokyo 2020 on Facebook and @Tokyo2020 on Twitter. Beijing, the capital of China, will host the Olympic Winter Games from February 4 through 20. Official information is available on the Beijing 2022 website in Chinese, English, and French. The 2024 Summer Olympic Games will run from July 26 to August 11 in Paris, France. Official information is available on the Paris 2024 website in English and French. Connect with Paris 2024 on Facebook and @Paris2024 on Twitter. The host city for the Winter 2026 Olympics has not yet been announced. The IOC will make its selection in September 2019 at the IOC session in Milan, Italy. Los Angeles, California, was announced as the host city of the 2028 Summer Olympics in September 2017. The IOC announced Los Angeles as the host city for Summer Olympics 2028 through the approval of an Extraordinary IOC Session. The Los Angeles 2028 Summer Olympics will be held from July 21 to August 6. Official information is available on the LA 2028 website in English, Spanish, and French. Connect with LA 2028 on Facebook, at @LA2028 on Twitter, or on Instagram, or follow the official YouTube channel. 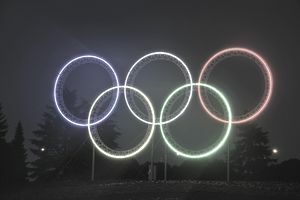 The International Olympic Committee, which is based in Lausanne, Switzerland, oversees all activities surrounding the Olympic Games. You can view current job openings with the IOC on the organization's website or on LinkedIn. Each country has its own Olympic committee, known as National Olympic Committees (NOCs). The NOCs are overseen by the IOC. If you would like to work for the United States Olympic Committee, you can view current job listings on their website. Each country's Olympic committee also has its own website where you can find job listings and volunteer opportunities. You can find your country's website by checking the National Olympic Committee's webpage. Jobs at the Olympics can be found from a variety of sources. Jobs begin to be posted more heavily approximately one to two years before the event. Popular job sites listing jobs at the Tokyo 2022 Summer Olympics include: jobmonkey.com, jetsetsports.com, and glassdoor.com. Each Olympic website also includes information on job listings and volunteer opportunities.